After weeks or months of devoted networking, you’ve finally gotten an introduction to the perfect person at the place you’re dying to work. You dash off a thoughtful yet brief request to meet, and wait eagerly for a response. Days go by, then a week, and nothing. Your excitement and hope are fading fast, and your vision of an entry point to your chosen organization seems to be dashed. Now what? 1. Always follow up – people are busy and we all get too many emails. Not a great excuse, but that’s reality. We’ve all missed emails we meant to respond to, so assume that’s the case and send a quick follow up if you haven’t heard back in about a week (set a reminder for yourself so you’ll remember to do this). You may want to wait a few days longer if you know they are especially busy or have been out of the office. Keep the follow up short and sweet, and reiterate why you are hoping to meet and when you are available. Some people only respond to the second email they receive, so if nothing else you will demonstrate your persistence and ability to follow through. 2. Think about timing – aim to send the follow up message when it’s likely to actually be seen (read: not in the middle of a busy week). Fridays are often a good day to follow up, since people tend to have fewer meetings and may be catching up on email. Or you might try Sunday evening or early Monday morning, so that it will be at the top of their inbox when they are prepping for the week. Gmail and other email services let you schedule emails to send at a future time, so you don’t have to wait to hit “send” at the perfect moment. 3. Offer an alternative option – if you’re getting the sense that your contact may be too busy to meet, offer to talk with someone else on their team. This gives them a graceful out, and ensures you still have a connection who can give you advice about the organization and potential job leads, and probably more quickly than your original contact. While of course it’s great to meet with someone senior, the reality is they are much harder to schedule with. If you end up talking to a member of the team who’s closer to your level first, they may actually give you more relevant information and can vouch for your to their manager and make additional connections for you. 4. Go back to the person who introduced you – if you have sent at least one follow up and still haven’t heard back, try asking the person who initially introduced you to the contact if they have any advice for getting in touch. Sometimes they will offer to follow up with the person on your behalf, or let you know the best way to get in touch (“oh, I know he can be really slow to respond to emails – I’d recommend calling his assistant directly to schedule time”). Tried all of this, and still not hearing back? Move on, and as hard as it is, try to shake it off and don’t take it personally. The reality is that some people will never get back to you, and that part is out of your control. While it’s incredibly frustrating, odds are that it really is not about you, it’s about them not having time or not prioritizing their time to share with you. Which is too bad, because they are missing out on a great thing! But even if you are moving on from this contact, there’s no need to give up completely on the organization – you need to look for another avenue. You sometimes need to approach an organization from multiple directions before finding the right person, so if you aren’t getting traction with contact #1, see who else you’re connected to there; even if they aren’t in the department you’re interested in, they can help you navigate the organization and put you in touch with someone who is. Finally, remember that taking a networking approach to your job search requires a tremendous amount of persistence and the ability to weather disappointments and downturns with positivity and without losing sight of your end goal: finding the job that’s right for you. 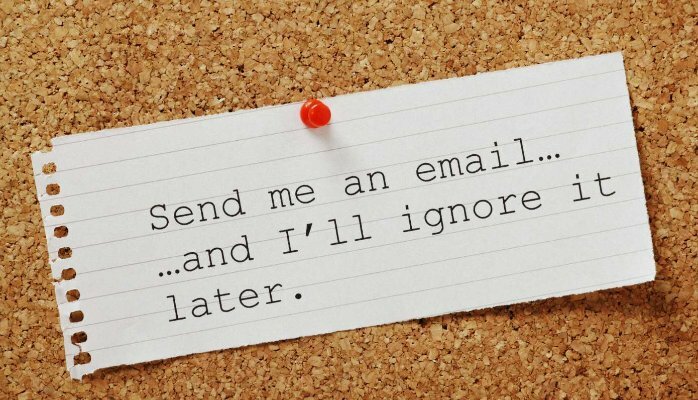 Your work will pay off, so focus on the people who do get back to you (there will be many), and don’t let a few unreturned emails distract you from your mission. Are there other tips or strategies you’ve found successful in following up? I’d love to hear them in the comments!